This past week, my coworkers and I took an hour-long tour of downtown Pittsburgh aboard a 1942 duck boat. 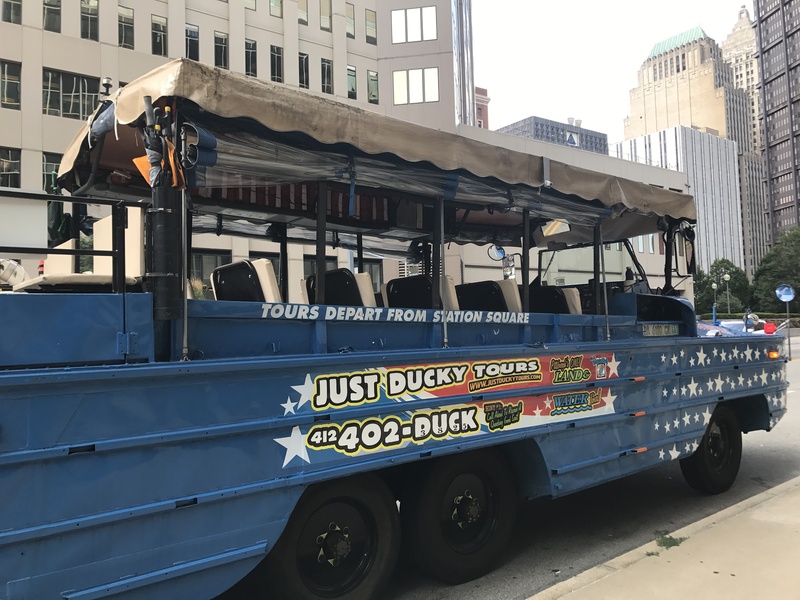 I had seen the Just Ducky tour vehicles around town since we moved to Pittsburgh three years ago, but hadn’t been aboard one. This team-building adventure was just the opportunity I needed to take the plunge. 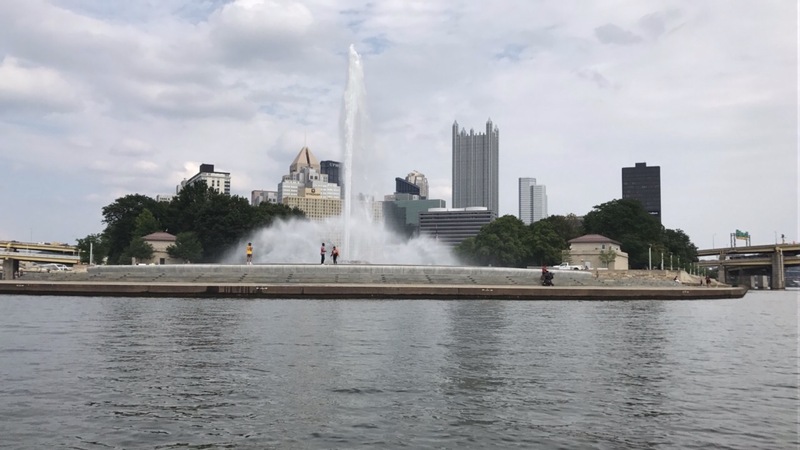 The tour began with a loop around downtown Pittsburgh (on land), highlighting sites like the city’s oldest churches, its many performing arts locations as well as its many sports stadiums. Next, we hit the water. We started in the Monongahela River and got a new vantage point on many of the city’s famous bridges. Then we rounded the point and crossed into the Allegheny River, where we did donuts (at a wild six miles-per-hour). It was a lovely afternoon and an enjoyable excursion with my coworkers. The one-hour tour felt like the perfect length; enough time to see the sites and hear about the city’s highlights from our fast-talking tour guides, but not so long that there was even a moment to get bored.